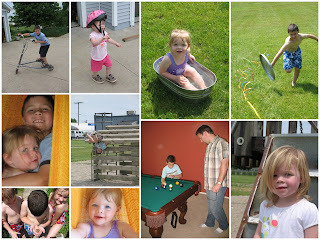 We went to Indiana to visit both sets of grandparents and had lots of fun! I love the pictures! The one of Olivia in the hammock (sp?) is so cute. We look forward to lots more fun this summer too!! It was fun to see you all as always!